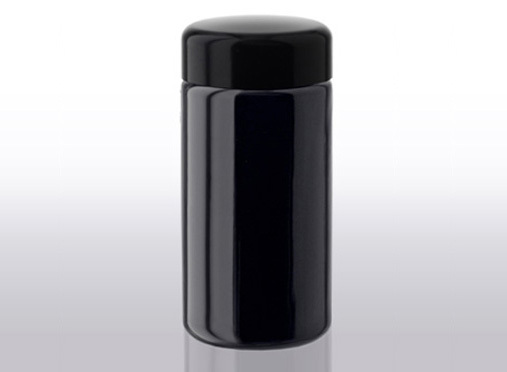 Miron Violet Glass 50 – 100 – 200 – 300 – 500 – 1000 ml wide neck jar (wide) with aligned neck. Voor opslag en bewaring van uw kostbare gezondheidsproducten: kruiden, superfoods, gedroogd fruit en noten, smaakmakers. Een duurzame en tijdloze presentatie, een betere bewaring. Stijlvol donker violetglas met een harde dop op dezelfde breedte als het glas. 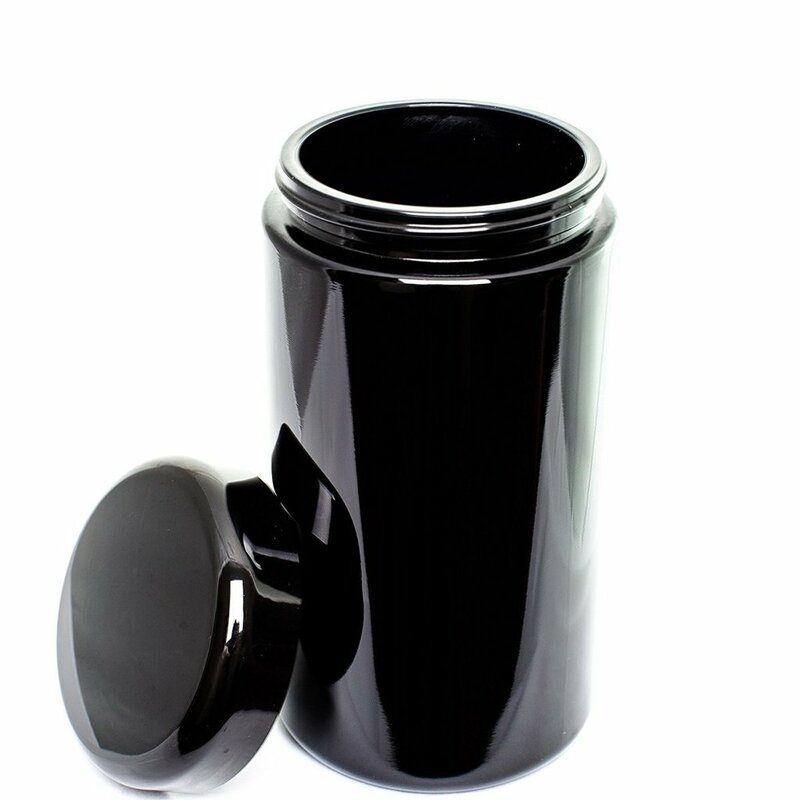 Includes black moulded from UF plastic for high tensile strength and surface hardness. The cap is lined with a hygienic and secure violet PET / LDPE-Foam inlay. The appreciation people have for the special protective qualities of violet glass can be traced back to the heyday of ancient Egyptian civilization. Even then, valuable essences and healing natural products were kept in gold and violet glass containers. As with the alchemists during the middle ages there are signs that people of that time were aware of the special quality the shimmering violet glass had. The advancing industrialisation and the emergence of new packaging materials meant that violet glass faded into obscurity during the last hundred years. Sunlight enables all plants to grow. If they continue to be exposed to the sun after reaching maturity, the effect of the light changes and accelerates the molecular decaying process. Miron violet glass works like a natural filter that only lets the sunlight that protects and improves the quality of the contents. There is a large selection of packaging materials available nowadays, of which many are permeable to visible light. Miron Violet Glass blocks the complete spectrum of visible light with the exception of the violet part and allows a certain part to be permeable for UV-A, and infra red light. This unique combination offers optimal protection against the ageing processes that are accelerated by visible light, thus lengthening durability and potency of the contents. Comparable packaging materials limit this potency as they are not sufficiently able to protect sensitive products from the quality lessening influences of light. Miron Violet Glass offers a unique possibility to maintain the quality of the contents at the same high level over a long time period. In order to substantiate these advantages, Miron Violet Glass AG has conducted a series of tests themselves and in cooperation with scientific institutions. Sprayed white, green and brown glass is permeable in the visible light spectrum and doesn’t offer enough protection against decomposition caused by light. As an experiment, several herbs and spices were stored for 3 months in several types of glass (white, brown, violet), and were either exposed to the sun for several hours a day or kept inside. 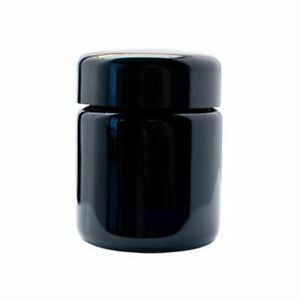 Since the first industrially produced Miron Violet Glass products in 1995, more and more producers of high quality natural products discovered the advantages of Miron Violet Glass containers. Miron Violet Glass is the perfect packaging for superior products to protect quality. With respect to ingredients the naturalness, potency, taste, and storage life should maintain the highest quality, and that the quality is completely maintained over a longer time period.